You have just received a set of oil colours, brushes and canvas boards as a present. This might be because you have a reputation for being a bit arty and might have dabbled with oils or acrylics in the past. You might be a complete beginner in oil painting. But what do you do with the art materials? Taking up a new hobby is always exciting. New and untouched oil tubes and brushes look enticing. The idea of embarking upon a painting project might fulfill an old dream of perhaps learning a new skill, holding an exhibition or earning a little money painting portraits or pets. Time goes by and you still have not picked up that brush. A blank canvas may reflect an artist block that solidifies with time. The oil paints end up collecting dust in the garage. This is where this art instruction book comes in. Find tips on how to break out into painting using the simplest art materials and painting exercises. Bulky costly easels and stretched canvases are not needed. In fact, oil painting can be made clean and compact. I use a resting board with bulldog clips rather than an easel. Primed art boards save space and money as opposed to stretched canvases. Dozens of pigments and numerous art brushes of every size would also be superfluous to requirement. No need for a mahl stick means that only several colours, a few brush shapes, two art mediums and primed art boards form the essentials for oil painting. 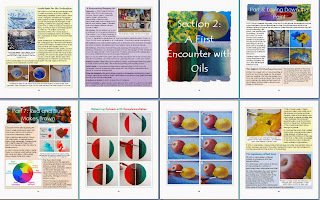 Find projects that begin from the very beginning – by trying out each pigment. Knowing your colours is like learning the alphabet before reading words, as pigments form the basics of colour mixing. Really, this book’s aim is to get that brush moving even if this means trying out each colour and comparing how one looks against another. Breaking artist block often entails simply squeezing the colours onto a palette and applying them. 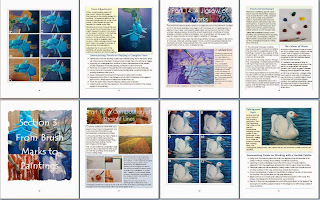 The artist confidence may build into colour mixing, shading technique, darkening colours, practicing colour theory, mark making and finally completing a first painting via high instruction within this book. Find demos that progress to painting your first landscape, still life and animal painting via highly instructional step by step images and text. Build confidence through practice and glean tips along the way. Future projects would seem more possible after getting to know your art materials first. This invaluable art book is available on Kindle as well as paperback. The paperback version is 100 pages long and 8x10in in size. Each chapter summarizes with a bullet point list reinforcing what has been learned so far. 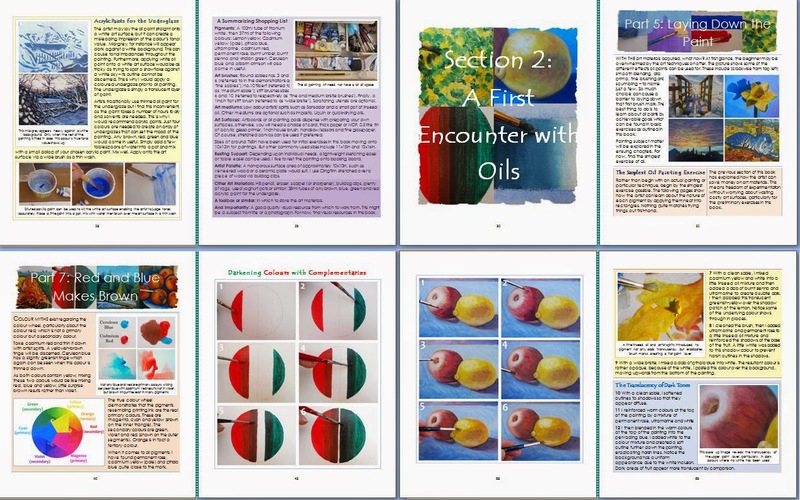 Also find glossary and a recommended shopping list for the beginner, as well as tips on making oil painting cheap. 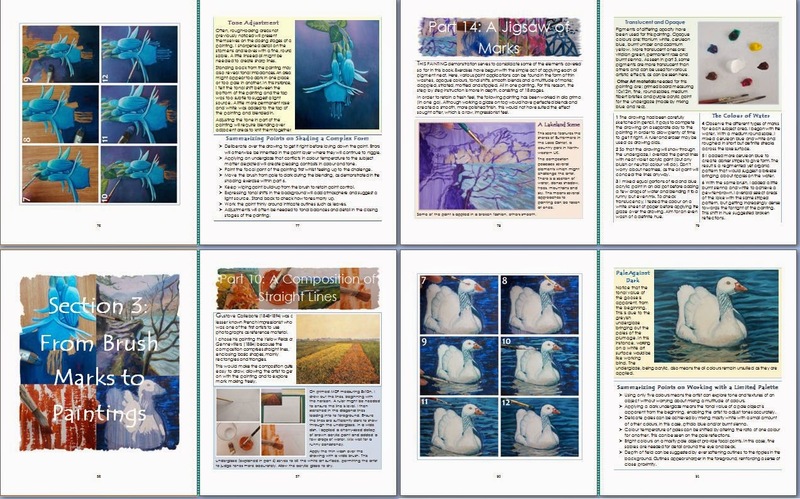 This book is bursting with colour images with invaluable advice on simply getting started in oil painting. A must for the beginner in oil painting! Oil Paintings look really pretty. But making them is very tricky. I have learnt oil Paintings from my father. He makes gorgeous paintings. Now I am thinking to learn Aboriginal Art too. Is there anyone who provides training for Aboriginal Art paintings? Nice post about oil painting for new beginners who want made something awesome in field of painting. Thanks for sharing such a helpful content with us.